What is Topsoil? Topsoil is the upper layer of soil, usually between 2 to 8 inches in depth, that contains most of the ground’s nutrients and fertility. Topsoil formation is an incredibly slow process, typically taking 100 years for every inch of soil. It is formed from the weathering of rocks and the subsequent addition of organic material from decaying plants and animals. This enriches the soil and adds the nutrients essential to support plant life. The main nutrients found in topsoil are nitrogen, phosphorous, potassium and magnesium. Each one has an important role to play in the soil’s fertility. Nitrogen is used for growth and promotes healthy stems and leaves. Potassium and magnesium help the plants to photosynthesise, and create lush green leaves. Phosphorous is used to create the plant’s cells and DNA. All of these nutrients are naturally found in topsoil, but in varying quantities and quality. They can be added to enrich the soil and increase fertility, whilst also improving the soil’s structure. Soil composition and structure varies considerably from area to area and it is constantly under the influence of its environment. People talk about having either clay or sandy soils in their gardens. Clay soils are harder to work with as they tend to harden and the nutrients are locked up in the sticky soil, although they do hold water a lot better. 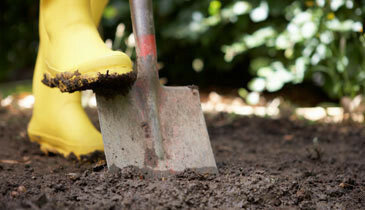 Sandy, loam soil however, is the most ideal soil and most often used in garden projects. This soil is a dark rich colour, lightweight and friable. As a quick test it should be hard to roll up into a ball, and then quick to break up. 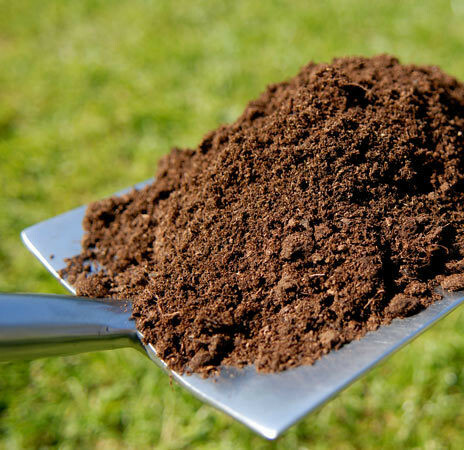 Online Soil are located in the North West, where this type of soil dominates and produces incredibly fertile ground. We are lucky to be based in the North West and that we are able to share this soil with the rest of the country. A good quality topsoil should have a pH value of between 5.5 and 7.5, in other words mildly acidic to slightly alkaline. 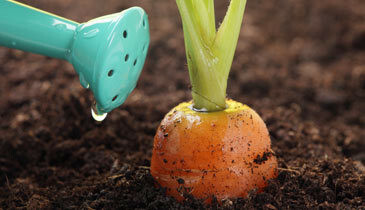 This ensures the plants are able to take up the nutrients in the ground. Although most plants are able to cope with quite a range of pH values, if the ground is either too acidic or too alkaline then there will be problems. Although there are certain plants which prefer soil that is more extreme, such as the acid loving rhododendrons and azaleas. Don’t forget that the pH is not the only important element of a good topsoil though, it also needs an open structure to make sure there is good aeration and drainage, which stops nutrient lock up. Some suppliers talk extensively about organic topsoil, but this is generally misleading. True organic topsoil would need to be taken from an organic certified field, which would be prohibitively expensive. Therefore, a better decision would be screened soil which has been improved by blending in organic composts to give it a higher organic content. The process of screening topsoil involves working the soil over a large mesh or screen to sieve stones and lumps out of the soil, a process that also acts to aerate the soil. Screen sizes should be 10mm or less for high quality soils and up to 25mm for infill. When selecting your topsoil you should ensure your supplier is acting ethically. As mentioned, topsoil can take years to develop so avoid suppliers who dig virgin green fields. Instead, it is more environmentally friendly to use topsoil taken from sites that are cleared prior to development, which would otherwise go to waste. When buying you should also avoid soils taken from skip yards due to the high levels of brick, glass and other contagions. We hope this article has been informative and answered your questions based on what is topsoil. However, if you have a question that we haven't answered, please get in touch. Unsure how much topsoil you need for your garden? Not to worry, use our very handy topsoil calculator to get an exact figure.